Balsamic vinegar of Modena "Slavonian"
Balsamic vinegar of Modena "Battery"
Products called “Balsamic vinegar of Modena” ’ are also derived from cooked grape must and concentrated must but, with ’ adding wine vinegar, become available to trade quickly through a production chain is shorter than the traditional. You may feel too special ’ they, Why are produced through a die in part similar to that of the traditional with the use of antioxidants, caramel and other flavouring agents. They are mostly industrial products and, in the name, were produced anywhere and did not reflect the true millennial tradition of Balsamic. It was therefore considered necessary to protect it with the IGP constraining production to the territory of Modena and defining their characteristic content of distinction. And’ the most known and widespread in the market and balsamic vinegar, purposing to clean sleeping costs, can be considered the best compromise to reach the plates of curious and interested, and not only, the continuous research and testing of new proposals. We could say that the balsamic vinegar of Modena is the antechamber of the best “Traditional balsamic vinegar of Modena” Although, certainly, not comparable. 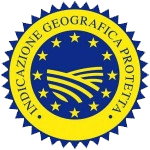 The term “PGI” is related to the name of a region, of a specific place or, in exceptional cases, a country, used to describe an agricultural product or a foodstuff originating in that region, specific place or country, and which possesses a specific quality, reputation or a ’ other characteristics attributable to that geographical origin and the production and all ’/or processing and/or preparation of which take in the given geographical area ’.